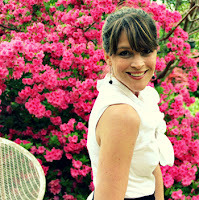 Today’s guest is super fun, extremely fashionable and oh so talented! Please give a warm welcome to Jessica from Me Sew Crazy. Jess and I crossed paths at the Sewing Summit last year and the rest is history! Why didn’t I think of this sooner?!! Today, I am introducing you to a fun little sewing foot I stumbled across while shopping in the Los Angeles Fabric District. It has become my new best friend when sewing with leather, vinyls, and other ‘sticky’ fabrics. The Roller Foot. This nifty little foot is one of the cheapest attachments you can purchase, typically ranging anywhere from $5 – $10, and snaps right onto the shank of most sewing machines. You can find it on Amazon.com. What does it do? Snap it onto your machine, and it literally helps your sticky fabric roll right on through. 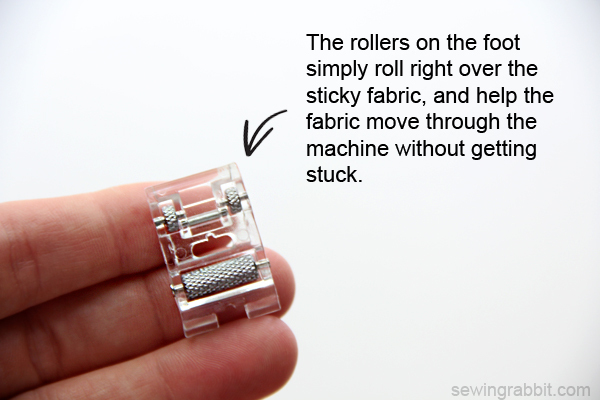 You no longer have to worry about your fabric getting stuck to the bottom of your regular presser foot, and it works even better than the scotch tape trick! One of the things I love to make with leather scraps are little leather bows. 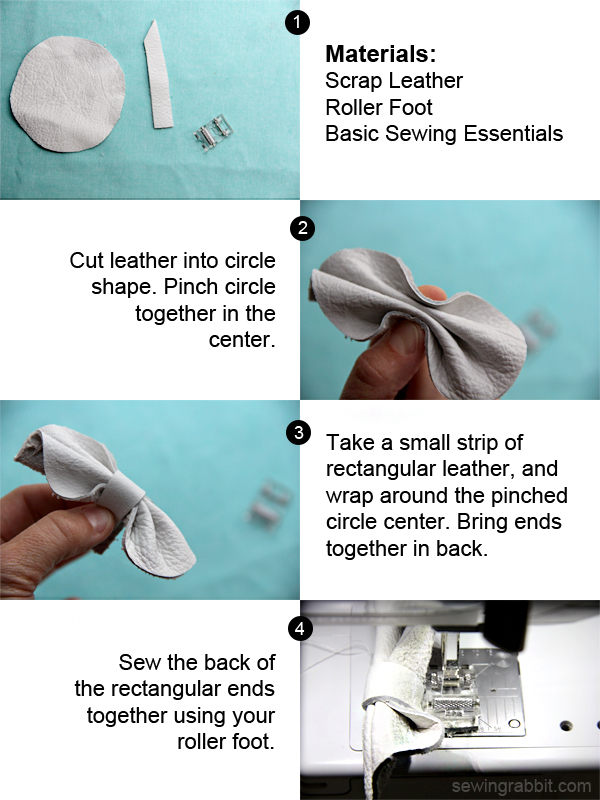 How to sew a leather bow. From there, it is a simple case of using gorilla glue to adhere to your choice of hair accessory (headband, alligator clip, snap clip, etc.). Let dry, and enjoy! Thanks so much for having me here today Heather for National Sewing Month, I have loved learning new sewing tips and tricks that help me on my sewing journey. It is my sincere hope that this post will encourage others to work more with ‘difficult’ fabrics, and step outside the box with their sewing. The roller foot is a great start! For more sewing tips, techniques, tutorials, and free patterns please stop by The Sewing Rabbit’s blog. 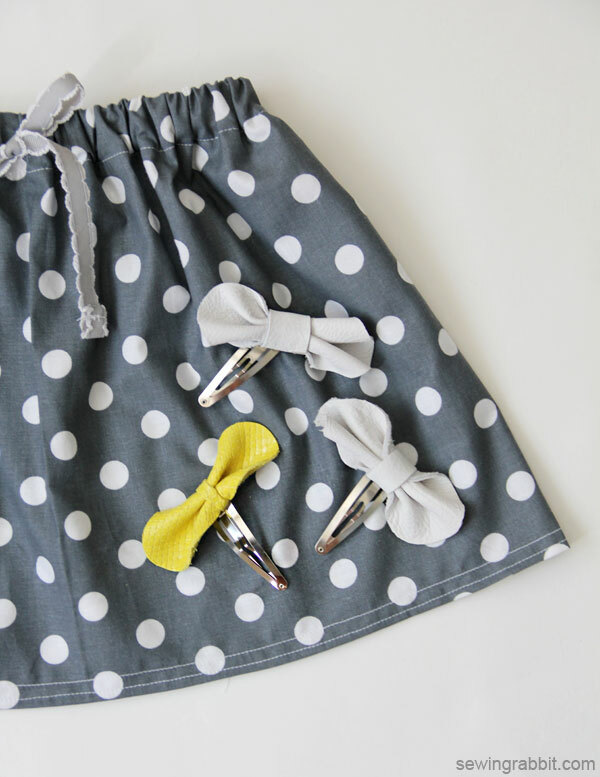 We are currently in the middle of showcasing a children’s Fall Clothing Collection, loaded with sewing tutorials for your kids! So simple and sweet Jess! We have a new little girl coming into our extended family later this year and I think these will make the perfect gift! Stay tuned, Nancy Zieman joins the National Sewing Month series and is sharing one of her favorite tools in the studio. ps- did you enter to win one of the amazing prize packages being given away? Click the below image to learn more. Thank you Jess. I never used the roller foot on vinyl, but I will now……….